Adding health-promoting fish oil to your pet’s diet can be one of the best decisions you make for your companion animal. If you want to learn more, visit the website! 14. Wakshlag J, Shmalberg J. Nutrition for working and service dogs. Vet Clin North Am Small Anim Pract. 2014 Jul;44(4):719-40, vi. doi: 10.1016/j.cvsm.2014.03.008. Review. I'm thrilled that Life's Abundance now offers Sealogix Omega-3 Fish Oil that is specifically formulated for dogs and cats! My husband and I are well acquainted with the benefits of a top-rated fish oil for ourselves. Now we can also give it to our dogs! I found this to be very interesting. My question is, can I give my lab over the counter Omega 3 and how much a day? Answer: You can give your lab an OTC fish oil, however, not all fish oil supplements are alike. Purity is important and the majority of OTC fish oils for pets on the shelves do not share their test results for concentration, purity and freshness with consumers. Sealogix Omega-3 Ultra-Pure Fish Oils for Pets are tested by IFOS, an independent, third-party lab and receive 5-Star results (the highest rating for concentration, purity and freshness). Plus, we post the results on the website so you can read them. In terms of the amount to give your lab, we cannot advise you as fish oil supplements concentrations vary from brand to brand. Fish oil is great but no cat I know likes that strong fishy taste, let alone fish in general. They eat and prefer meat. So how to get them to take it? Answer: Sealogix Omega-3 Ultra-Pure Fish Oil for Pets is in triglyceride form, which has a mild fish flavor. Plus, we've added an easy-to-measure dropper so it really couldn't be easier to give to cats. It is exciting. We have been giving our dog the Omega 3 since he was a puppy. He is a small Havanese. It is easy to get him to take it when we saturate the Antioxidant Bar. He looks forward to it every night. I do not own a cat but my daughter does. She puts it on a cat treat and Shadow takes it. I know it is difficult to give it to some pets but saturating something they normally enjoy should be easier. Especially with the new taste for pets. Good luck!!! Wow!!! We had no idea! Ordering now! thanks for the great article and info! Most folks (dog owners) use oil only for reason number 10 that I talk to. Having another 9 talking points is great Also having an ever expanding product line that has a significant positive impact on pet health is what makes Life's Abundance the greatest! I am going to order some this month to start on my German Shepherd. A female, I received as a rescue and has some insecurities/moods. I am interested to see how she responds adding the supplement to her diet next month. I'm thrilled that Life's Abundance now offers Sealogix Omega-3 Fish Oil that is specifically formulated for dogs and cats! I can not wait to share this with my Vet as she has recommended fish oil in the past but always caution me that fish oil off the shelf can not be identified as to how much to give to a pet plus the factor that purity is of great concern. I know she will be very impressed. We began giving our 3 dogs the fish oil with their food yeaterday and all 3 ate all gone! No odor, or weird taste. Today, I introduced my 18 year old cat--very, very arthritic--to some fish oil in some canned food and she scarfed it down. Made me smil from ear to ear to know I was giving her a supplement that is so beneficial and one that is of such high quality and concentration. Now, onto the other 5 cats! This is fantastic news for all pet owners and pet professionals! The benefits of fish oil for humans have been noted for years, but I am glad we now have a high quality product available specifically for dogs and cats. This is something I will make sure every one of my dogs use and will stress the importance of to my dog training clients. So excited that we now offer the Sealogix Fish Oil for pets. Omega 3 is a wonderful supplement to help with skin and coat issues, not to mention the bonus of the heart,eyes,brain and joints. Now that we have the option of a liquid dropper that will definitely help with the ease of giving it to our pets. I found this article to be very informative. I did not know that fish oil, omega 3, helped our pets out in so many different ways. My Police dog is 6 years old. I will begin adding fish oil to his diet. I ordered some, it will be delivered with my nest auto ship order. 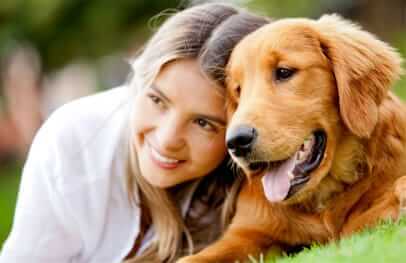 I am thrilled about omega 3 for our pet kids. I am an avid fan of omega 3 for years, and that research keeps coming in about the many benefits. I hope all pet parents read this! Thank you for the great formulation for our pets, especially for taking all the extra precautions to prevent rancidity that's so common in other brands. Really thrilled to see Life's Abundance offering fish oil for pets. Can't wait to start giving it to my Brewster! No comment but how do I order the fish oil supplement for my 1 year old pug puppy who is getting a little too chubby? I just ordered my dog the new fish oil and look forward to seeing the results. I recently learned to store it in the freezer to keep it good longer and also that if a fish oil freezes it is a poor quality. Thanks Dr Jane for making a formula for our pets since you said the people version is not good for them!! I ordered the pet Omega 3 for my cats as soon as I got back from the cruise/convention. It's easy to use on their soft food and they lap it up. I have been using our Fish Oil for myself for many years and am now happy to give to the cats. How exciting to hear first hand from Dr. Tom the benefits and purity of our own Omega 3 fish oil. We just received our first bottle of LA Omega 3 and am so excited to get our girls "Chrissy and Callie" started on it! We LOVE our girls and want to do everything possible to keep them in the best health possible! I have been giving my Doberman Mix, Poppy, a fish oil from day 1. While I knew it was good for her, I was impressed with all the benefits explained by Dr. Bashara. Now I am thrilled to use our Sealogix for pets, knowing that the quality and integrity of the product is as good as that for humans. THANKS! Really excited about the intro of this new product specifically formulated for my pets. Can't wait for them to try it! Our cats LOVE the new fish oil. I place it on their Life's ABundance canned food and the first thing they do is lick up the fish oil...how easy is that? I knew some of the benefits of taking Omega-3 myself, but great to know all the benefits for my dogs too! Another fantastic educational article by Dr. Jane! Omega-3 Fish Oil for Pets is a perfect complement to our pet supplements. As Dr. Jane mentioned, visit the website link above to learn more about the dynamic product! Do your own homework and be confidently informed! My American Eskimo loves the fish oil...she laps it right out of her bowl. I do not need to add any treats or food to the fish oil. I know that this is helping her because she act more like a 5 year old dog than the 11-year old diva that she is!